Disclosure: I did not get compensated for this post nor was I asked to do it. I bought this product on my own. When I bought Shanks (iPhone 5) last week I knew if I didn't get a case on it fast that I would hurt it and wish and hope that I could find a time machine to fix what I had done. I was extra careful with it and this past weekend I bought a temporary case at Frys with some awesome graffiti from NY. That case is now my backup case. 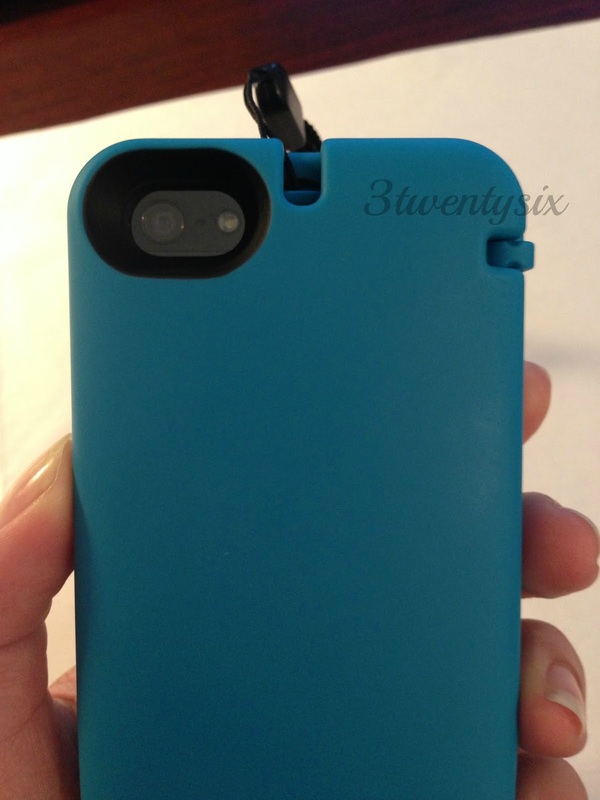 I ordered the same colored case from EynProducts that I had on Shanky (iPhone 4S) because it's so freaking convenient for me. 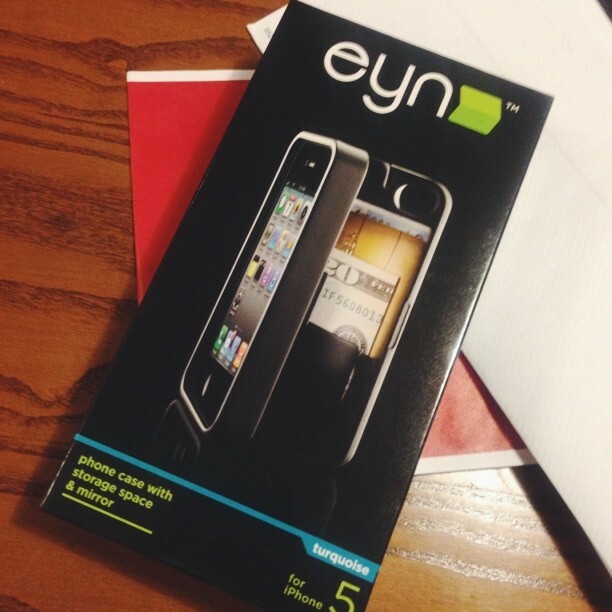 I contacted Linda@Eyn by email and asked her if she could get me the same case for the 5 and send me a Paypal invite. I had problems paying when I bought the one for my 4S, figured I'd go straight to her since she was so awesome before. She remembered me and totally hooked me up again! 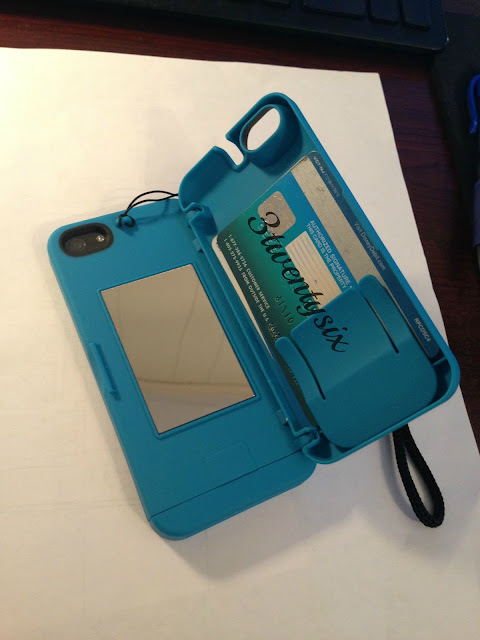 Shanks is now pimpin' a new turquoise EynProducts case. 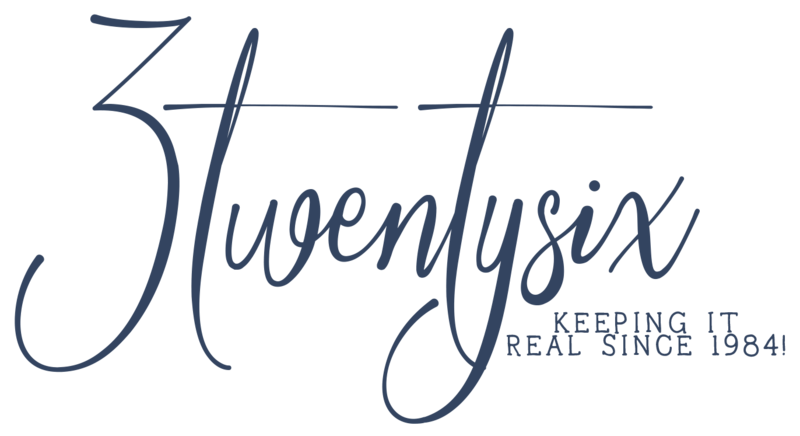 Eyn stands for Everything You Need. My case holds two bank cards and my DL, sometimes I put cash in it too and it still closes nicely. 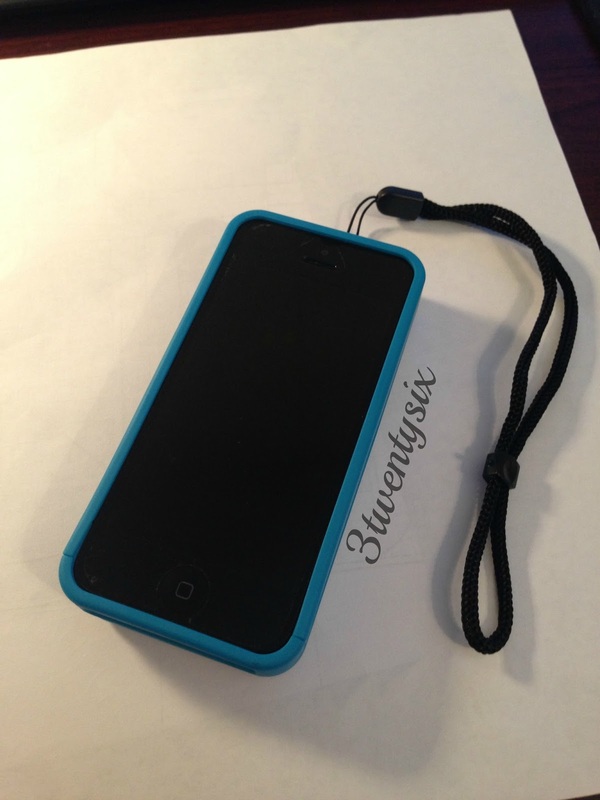 It comes with a wristlet which is more convenient then you think and it has a built in mirror. The mirror works perfect for those times when you feel you have something stuck in your teeth but aren't sure Lol! But that's not all, you can also open it up a bit and use it as a kickstand. The case doesn't block the camera but if you use flash you might want to open the case so that you don't have a weird look to it. I like that when I close the case it makes a clicking noise so I know for sure that it's closed. Putting this case on your phone is also super easy. The bottom piece comes off and all you do is slide the phone in and put the bottom piece back in. Simple! Eyn sells a lip balm that fits perfectly in the case as well. Like I said in the review for the 4S, this case is pricey ($29.99) and I'm not one to spend over $10 for a case but this case really is perfect for me. No matter where I am or where I'm going, I can always count on my case to have my debit cards and DL. The only thing that I found different in this case compared to the 4S case is that this seems to be slimmer and is comfier to hold in my hand. A friend bought this case when I recommended the one for the 4S and she said she went into panic mode when she couldn't find her phone cause it had her DL and bank card - Guess that would be the only downfall Lol! One more thing - Samsung Galaxy S4 users.. an EynProducts case is in the works for you too. It will be available early November so don't sleep on this. I recommend this case for anyone and everyone. 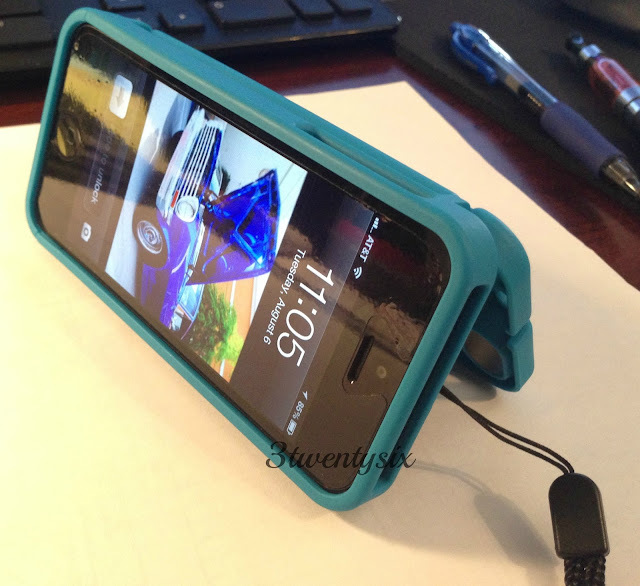 It's convenient and keeps your phone safe. Don't take my word for it though, buy one and you'll see. You have the choice of buying it in black, orange, turquoise, chartreuse, purple, red, and pink. 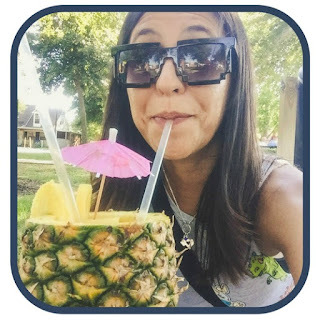 Review: Diamond Candles from me+Giveaway for you!